Thread: Introducing the Sierra-1 !!! I am incredibly pleased to make this announcement. I feel many of you have suspected that something is coming and I am here to confirm with a resounding YES – that something very special is now here. There is much to discuss. To make it easier on all of us, I am going to provide you with a ton of information in a series of posts, one post per day with each in its own thread. We will do our very best to answer all questions and inquiries but I would appreciate it if you would wait until we make the last post regarding the product (Thursday or Friday). We are a small company introducing what I consider a “big” product, which I suspect will be our most talked about and successful product to date… please be patient with us while we get up to speed. 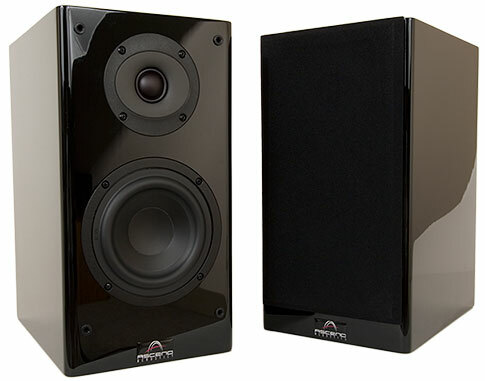 More than seven years ago, Ascend Acoustics introduced much more than a unique series of loudspeakers -- we introduced a fundamental design principle to value-conscious audio enthusiasts, a design philosophy previously reserved for an audience that typically spent large amounts of money to obtain products that adhered to these same principles. We took these principles, improved them, designed a series of loudspeakers and offered them at price points that allowed the average consumer to experience true high-end audio quality. Ascend loudspeakers are designed for accuracy -- the ability for the loudspeaker to deliver a faithful reproduction of the source material. Why is an accurate loudspeaker generally preferred over a loudspeaker that is designed to have a particular sound characteristic or one that is not capable of accuracy? It is simple, when you hear a sound in nature -- not a reproduction from an original -- by definition it is accurate. A clap of the hands, a car driving by, your child’s voice -- these are all familiar sounds. Take these same sounds and reproduce them through a loudspeaker that has been designed to have a certain sound characteristic or one that is not capable of accuracy, and those familiar sounds will now sound different. Every second of our lives we are listening to various sounds, most of which we consciously filter out and ignore, yet subconsciously we are analyzing each and every wavelength. We rarely pay attention to the quality of a sound when it occurs in nature; instead, we focus on the content of what we are hearing. When listening to loudspeakers, we pay as much attention to the quality of the sound being reproduced as we do to the content, perhaps even more so. Our subconscious mind knows how something should sound and, eventually, the inaccuracies of a colored or incapable loudspeaker become readily apparent and often become a source of annoyance. I am so very pleased to announce this new product, a loudspeaker that has been in intense development for well over four years. A project that took right turns, left turns, u-turns and ended up so superior to my initial goals that I can say with confidence that it will have a larger and longer lasting impact on the loudspeaker industry than any previous product I have ever been involved with. It is my feeling that innovation has been lacking in the loudspeaker industry. As a loudspeaker engineer, this feeling/opinion has been my motivation since day one -- to make Ascend an innovator. I have never designed a product to rival or imitate an existing product; I have never designed a product to fit into a specific market segment. Every product I have introduced through Ascend Acoustics was purposely designed to achieve a level of performance and accuracy. 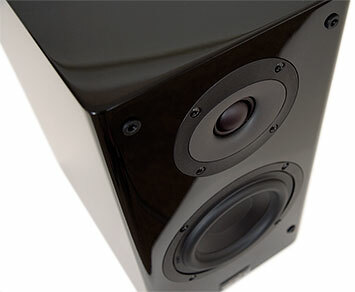 This new loudspeaker continues in that tradition while also breaking totally new ground. I did not target a competing product; I had an idea for ground-breaking performance that continued to evolve year after year. I did not have an intended price point or market segment I wished to place the speaker into. I honestly don’t even know at what price point it belongs... It would be at home at $1,500/pr or $4000/pr, I really don’t know… it is that unique. My desire was to build a loudspeaker from the ground up, applying my fundamental philosophy to every component of the loudspeaker, with no design compromises. 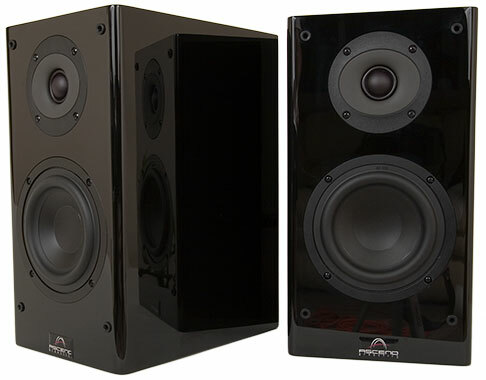 The only constraints I used were the cabinet dimensions -- build the highest-performance loudspeaker Ascend is capable of given a particular cabinet size. Perhaps the most important factor in achieving accuracy is removing or reducing the effects of the loudspeaker itself. I have taken drastic steps to greatly reduce the negative influences that the loudspeaker itself adds to the source material it is reproducing. My objective was to follow a “less is more” philosophy to achieve accurate sound reproduction. In nature, a sound is reproduced without influences from loudspeaker characteristics such as cabinet resonance, driver and crossover distortions, diffraction and baffle reflections, phase anomalies etc. These inaccuracies are audible and smear sound quality, making a loudspeaker sound like what it is, a reproduction. With this in mind, this new loudspeaker demanded less cabinet resonance, less distortion, less diffraction and reflections and fewer phase errors -- in other words, a major reduction of all the negative characteristics the loudspeaker itself imparts on the source material. Last edited by davef; 08-26-2010 at 10:43 PM.